PA chairman's faction won't condemn attack in Jerusalem, criticizes Israel for killing the three terrorists who carried it out. Palestinian Authority (PA) chairman Mahmoud Abbas’s Fatah on Friday night blasted Israel for killing the three terrorists who carried out the combined shooting and stabbing attack in the Old City of Jerusalem, in which 23-year-old Border Police officer Hadas Malka was murdered. In a statement, Fatah referred to the killing of the three as an “execution” and described it as a “war crime”. “Israel continues its policy of escalation,” charged the organization. Despite being touted as a “peace partner” for Israel, Fatah did not condemn the attack. 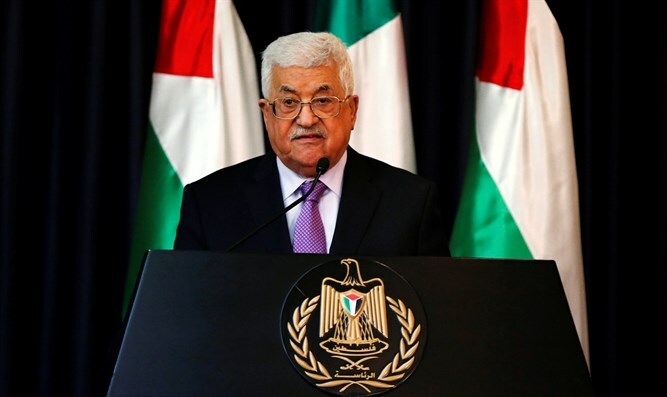 Abbas has regularly refused to condemn terrorist attacks against Israelis and, in fact, has been directly involved in inciting terror. Abbas blessed every drop of blood shed in Jerusalem "for Allah" and called to stop "filthy" Jews from visiting the Temple Mount. The PA chairman has also ordered full military funerals be held for terrorists. He insists that attacks carried out by his own people against Israelis are the result of Palestinian “frustration”.